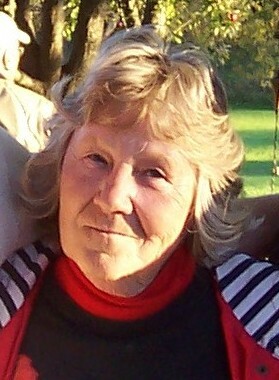 ROCK ISLAND — Linda Louise “Linda Lou” Grizzle, age 67, of Rock Island, died Sunday, May 15, 2011, at her home. Per her wishes, cremation rites have been accorded. Memorial services will be held at 11 a.m. on Friday, May 20, 2011, at Esterdahl Mortuary & Crematory, Ltd., 6601 38th Avenue, Moline. The family will be receiving visitors from 9 until 11 a.m. prior to the service at the funeral home. Burial will be at Greenview Memorial Gardens, East Moline. Linda was born January 6, 1944, in Moline, the daughter of Raymond and Ruth (Bell) Mital. She married David Lee on October 12, 1963, at Holy Cross Lutheran Church in Moline. He preceded her in death in 2000. Linda was employed as a property manager for TLM Properties in Davenport for 10 years. She was a lifelong member of Holy Cross Lutheran Church in Moline. Linda enjoyed home decorating, gardening, decorating for Christmas and spoiling her grandchildren. She is survived by her daughters, Tami Claxton and Jenny Jacobs; sons, Bill Grizzle and Tim Grizzle; grandchildren, Nic, Nikki, Rob, Rick, Caroline, Spencer, Charles, Brooke and Tessa; sisters, Joyce and Jan; and brothers, Ken and Kevin. She was preceded in death by her parents, husband and brother, Larry.